Progressive Farming Practices - Noland Farms Inc.Noland Farms Inc. 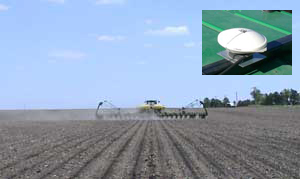 The tractors pulling the corn and soybean planters are outfitted with Auto-steer guided by global positioning satellites (GPS). Auto-steer follows the same concept as auto-pilot in the aviation industry. This allows us to plant our corn and soybeans in perfectly straight rows and significantly decrease the operator’s mental and physical fatigue, which increases safety while decreasing the likelihood of mistakes. The satellite signal is relayed through the white receiver on top of the tractor’s cab to a monitor in the tractor. As input prices such as seed and fertilizer have increased, we have focused on efficiency in using these products. Through the use of a clutch system installed on the rows of our planter, we can now significantly reduce the overlapping of seed planted. 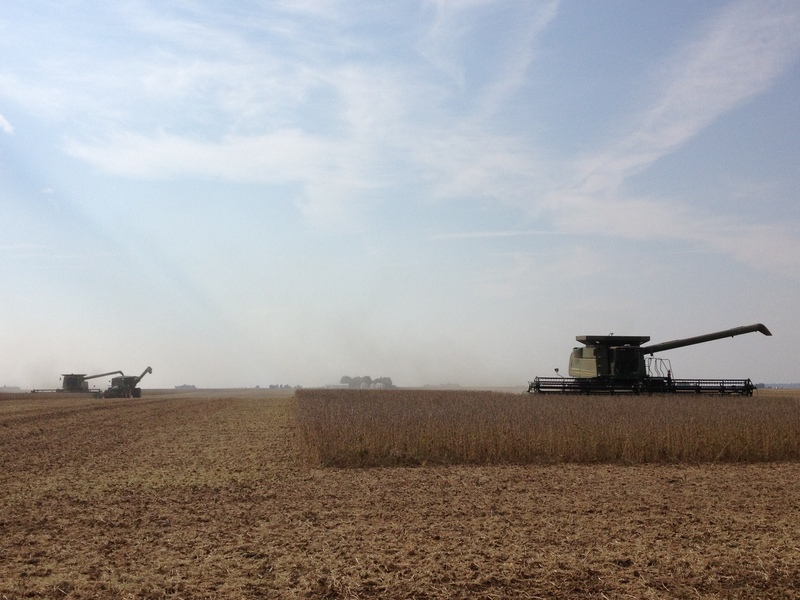 Central Illinois is blessed with highly-productive land, but each acre can differ in soil structure and productivity. We have addressed this with the introduction of variable rate technology (VRT) on our farm. Through our association with a crop consultant, we have many farms’ soil sampled and a “planting prescription” written. This allows us to vary the amount of seeds planted per acre within a field, which means each acre of each farm receives proper management. Prior to planting, we upload the “prescriptions” on the in-cab monitors, which then control the mechanical operation of the planters. We currently use a sprayer that is 90 feet wide to apply liquid chemicals and fertilizer. With a span roughly the length of a basketball court, controlling the amount and direction of the product applied is very important for environmental and economical reasons. The 90 foot application width is divided into six independently-controlled spray sections to increase efficiency. Technology allows for the ability to decrease overlap spray application, thus use less product, with this precision tool. Agricultural fertilizer leaching into rivers and water sources is a concern in the community and at Noland Farms. Our fertilizer and herbicide programs differ from many farmers in that we believe in a “spoon-fed” approach to growing our crop. We apply smaller rates throughout the growing season to provide the plant with nutrients at key growth develop stages. 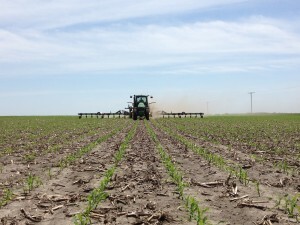 After the corn has emerged, we use the same variable rate technology to administer fertilizer. The use of a boom section control system better utilizes the distribution of fertilizer, minimizing over-application through double coverage. 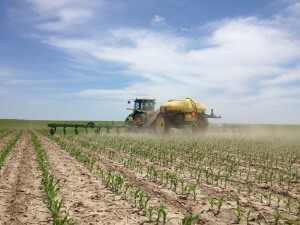 Overall, the same quantity of fertilizer could be applied to the field, but the inputs are applied at their most efficient rates and in its most productive field sites, which potentially reduces fertilizer leaching. 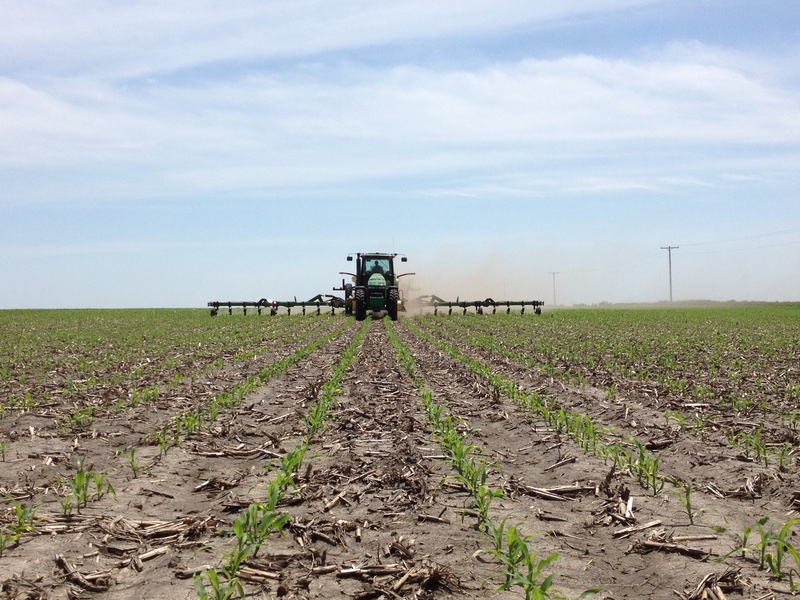 We own equipment capable of applying sidedress nitrogen through both liquid and anhydrous ammonia applications. The John Deere combines used to harvest corn and soybeans are outfitted with auto-steer guided by global positioning satellites (GPS). Receivers mounted on the roof of the machines relays the satellite signal to a control monitor in the cab of the combine. This multi-purpose display monitor controls the auto-steer system and also produces infield yield maps, which are closely reviewed for the following year’s seed and chemical applications. Each yield map can then be printed and compared to the field’s soil types. This allows us to manage chemical, fertilizer and seed application for each acre on each farm. On many farms, a continuous corn-on-corn crop plan has been implemented. In order to grow corn following corn, the farm must be tilled to rip out the previous year’s corn root balls, which if left beneath the soil, have a toxic effect on the next year’s corn plants. 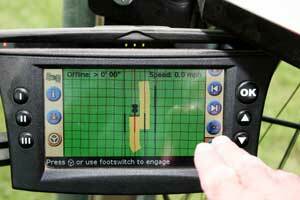 Our tillage tractor uses GPS to ensure that each acre is tilled. On the monitor’s display screen, the yellow lines denote the tractor’s coverage across the field. Auto-steer also enables our family to operate later into night, eliminating darkness as a limiting factor.